Oops, it looks like for a brief few hours PS4 and Xbox One cross-play was available in Fortnite. 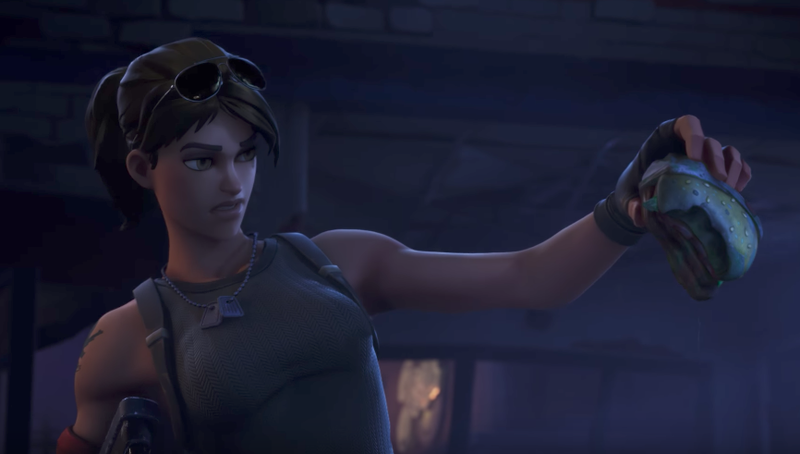 Now, Fortnite developer Epic Games says that feature was actually a bug, which the studio is referring to as a “configuration issue” that it says it has fixed. Console cross-play opens up games’ player bases so friends who don’t have the same system can game together. For a survival shooter/fort defence game like Fortnite, playing with friends can mean the difference between victory and, well, carrying three AFK strangers to victory. The problem is, even for games like Minecraft and Rocket League that offer cross-play between PC, Xbox One, Nintendo systems, and mobile phones, Sony almost never wants to play along. With its PS4 dominating the video game console market, Sony has been resistant to fans’ calls to allow cross-play with Xbox One and Nintendo Switch. Fortnite lets PC and PS4 players game together, but has announced nothing more with regard to cross-play. So starting two days ago, when Fortnite players on PS4 reported encountering Xbox One players in-game, it came as quite a shock. A player named PRE_-CISION-_ was among the final five survivors of Fortnite’s Battle Royale mode when he was killed by a player with a pretty unconventional name for PS4. Over Reddit private messages, he told me, “I noticed the gamer tag of this dude had a space in it, which was bizarre. I figured it was just the game glitching out so I searched for his tag with an underscore on Playstation Network without any luck.” He booted up his Xbox One and typed it in there, “for the hell of it,” he said. Immediately, he found the player, whose achievements indicated that he owned Fortnite. After reaching out to the player, PRE_-CISION-_ says he confirmed the identities matched. On Reddit, another player posted a picture of himself playing against his kid with the PS4 hooked up to one TV and the Xbox One hooked up to another. It was a charming picture, but raised a lot of questions among the community—why wasn’t this great feature announced? Was it a mistake? Over e-mail, a representative from Epic Games confirmed to Kotaku that, “We had a configuration issue and it has now been corrected.” It looks like these brief glimpses of the big, beautiful world of cross-console play were total accidents. But since allowing cross-console play seems to be so easy that a company like Epic can do it by mistake, lots of players are now asking why the hell there are so many roadblocks to getting the feature. That’s unwelcome news for PS4 players who want to game with their friends on Xbox. “I’ve been keeping up on the news of crossplay and felt this was a game changer, the world could exist with both major console networks happily together,” PRE_-CISION-_ said.